Before suggesting that Kenyon Martin and Jeremy Lin are engaged in a feud, put yourself in Martin's place, put yourself in Lin’s place, and think for a second. Kenyon Martin is not the villain here. Neither is Jeremy Lin. And the internet beef between the former and current Nets stars over Lin’s decision to get dreadlocks doesn’t boil down to a feud, or killing anyone with kindness or someone getting treated. The only losers here are the ones failing to acknowledge Martin and Lin’s right to have a conversation, and who refuse to engage with it. Lin wrote a thoughtful piece on the Players’ Tribune earlier in the week explaining his decision to get dreads, encouraged by Nets teammate Rondae Hollis-Jefferson, who did so in turn. Hollis-Jefferson is black, and dreadlocks are—of course—a black hairstyle. 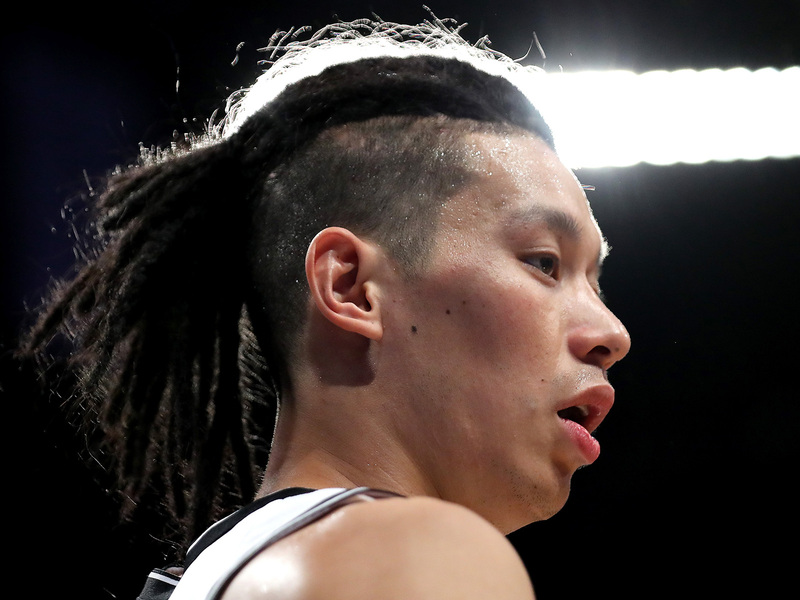 Lin, who is Asian-American, has drawn media attention and some degree of online confusion, occasionally bordering on mockery, for his varied hairstyles over the past couple seasons. And that’s a conversation for another time—let’s just say more people freaked over Lin’s man-bun and cornrows than all of Spencer Hawes’s questionable variations of beard and hair. The essence of Lin’s essay acknowledged the issue of appropriation, and Lin never claimed to have the answers. There’s a fine line between respect and mockery when it comes to racial and ethnically-steeped signifiers, and by most accounts, he walked it well. The end note of the piece simply asks readers to have a dialogue. “We need more empathy, more compassion and less judgment. That takes actual work and communication,” he wrote. It’s safe to say the coverage of the aftermath has whiffed on that. Martin later went on Instagram accusing Lin of “wanting to be black,” and expressed frustration at the Nets organization for allowing him to wear the dreadlocks. “Like, we get it,” Martin says. “But the last name is Lin.” Is Martin entitled as a black man to be upset about Lin adopting a hairstyle steeped in cultural heritage? Completely. Hair is often a symbol of pride and ethnic identity, and he’s allowed to feel like Lin is stepping on that. He can share his opinion with added tact if he wants, but he doesn’t have to read Lin’s essay as sincere. There’s a lot going on here, and it’s not about last names or tattoos, but about the collective mainstream unwillingness—or perhaps sheer inability—to engage in the conversation that Martin and Lin started. That’s where we need to cast our attention. Lin’s choice of hairstyle clearly occupies a grey area, and the way he’s tackled the topic acknowledges that. Credit Lin for not positioning himself clearly on a moral high ground that is beside the point. Regardless of who’s right and wrong, casting Martin as angry and misguided fails by perpetuating another deep-seated racial stereotype. It’s a shame that much of the quick-turn coverage of their interactions has emphasized the aspects of conflict—which, intentionally or not, casts it as a feud between two men of color, suggests a need to take sides, and comes across as dismissive. And with a little objectivity, that’s perfectly fair. Perhaps the real issue is that Martin took heat and felt the need to cop out or back down on any level —a burden people of color can understand, but that others may not. Put yourself in his place, put yourself in Lin’s place, and think for a second. Don’t make Martin the bad guy; instead consider who his critics are, where those criticisms are coming from and why. This entire situation matters because of what it says about us, not about them. And if the product is thoughtful dialogue instead of throwaway internet uproar, we’ll all be a little smarter for it.